Why did you decide to buy the Japan Rail Pass? I started going through the web and checking out the prices of the transportation in Japan, and I saw that the price of a single trip from Tokyo to Osaka, which are the two most important cities, would cost me more than buying a single Japan Rail Pass. So I decided to purchase it because of the endless possibilities of travel, ease of access to all of Japan, but most of all because of the price. What type of tickets did you purchase? The Standard class, 14 days. I chose to visit Tokyo, Osaka, Nara, Kyoto, Kamikochi Park National, Hida, Hiroshima and last but not least the Japanese Alps. Can you describe your buying process? It was very easy and quick. I was asked for the personal data of me and my girlfriend, as I bought the tickets for the two of us. Then I had to select the number of days, and that was it. A quite simple and neat process. I ordered the tickets online on Tuesday and got them on Friday. I was honestly impressed with the speed of the service. We were really impressed with the speed of the service. What did you receive in the package with the tickets? I got the map with train schedules, an instruction letter, which was very helpful when arriving for the first time, and of course the two Exchange Orders. At which airport did you arrive? Did the staff speak English? We arrived at Narita Airport in Tokyo. No! They spoke a very, very basic level of English. Even at the airport, I needed to force myself to understand them, using hands and signs – it was almost impossible, and almost hilarious, but we made it. What documents were required to complete the Japan Rail Pass exchange process? I only needed my passport and the Exchange Order, nothing more. What they wanted to verify in my passport was that I had a Temporary Visa, which was required to make the ticket exchange successfully. 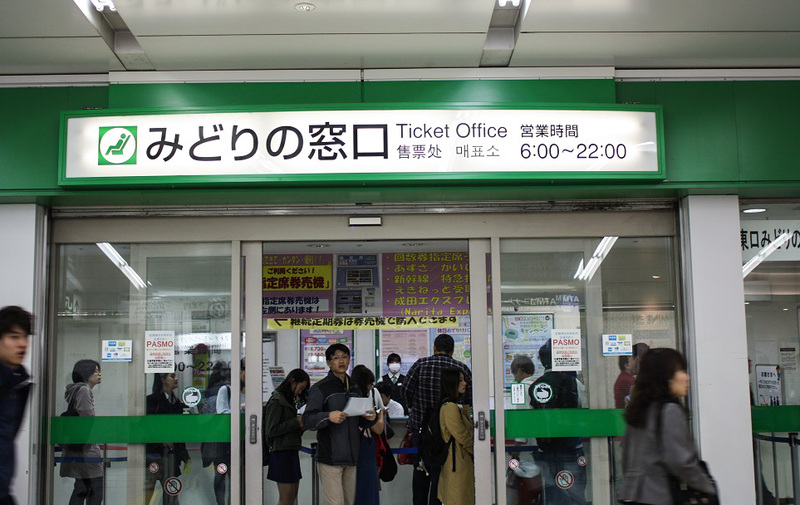 Japan Rail Pass exchange offices are located at airports or at major train stations. How did you organize your trip to Japan? Do you remember having any difficulties while on your stay there? 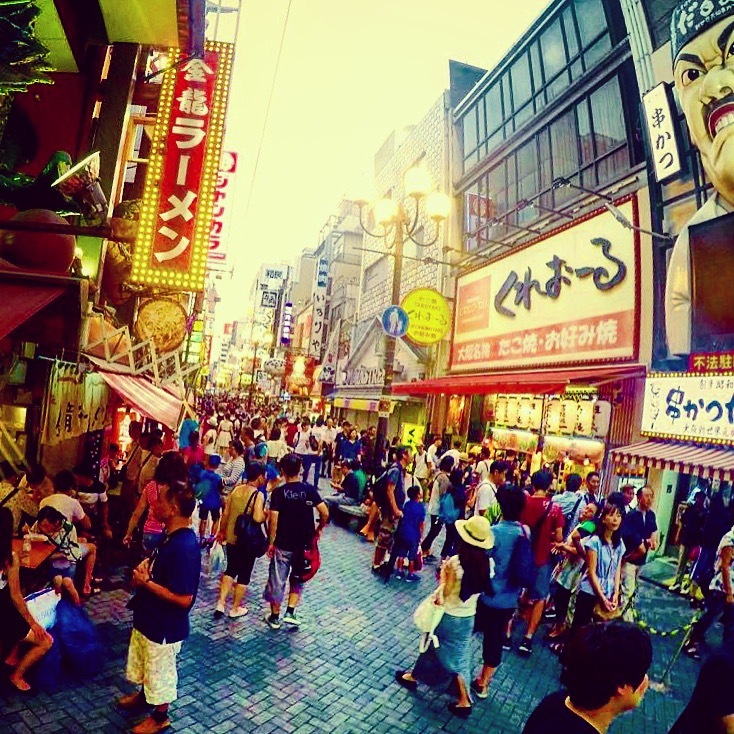 I will never forget the one terrible experience – my last two days in Tokyo. We went to a beautiful and expensive restaurant with one Michelin star. After eating we tried to pay with two different credit cards and one debit – they were all rejected. So my girlfriend had to wait in the restaurant for me to go and find an ATM and go back to the restaurant to pay. This is why my biggest advice is to ALWAYS HAVE CASH ON YOU! The cheapest place to take money out is the Post Office – they have the lowest commission rates. It’s better to always have cash on you, as many ATMs don’t work with western credit or debit cards. What advice would you give to everyone planning to make this type of trip? What I did was to check everything online, go through different webs, which had information related to my interests. You can do really cool things in Japan but YOU HAVE TO see Tokyo, the Shibuya Cross, Osaka and Kyoto – YOU HAVE TO! If you like to eat meat like me – research the best meat restaurants there. Such as the biggest fish market in the world. What is the biggest mistake you consider you made while/before going there? That I never checked the schedule for the last train. I exchanged my ticket but only 10 minutes after the train had already left and I had to stay a day more in Tokyo. So be very careful! What was your favourite train experience? The trains that don’t have wheels. That was incredible to see such a thing! It looked unreal. And of course from Tokyo to Osaka we rode so fast, it seemed like the speed of light – I was extremely impressed. Did you use the Bullet Trains? How would you describe your Bullet Train experience? Yes, Tokyo – Osaka, Osaka- Kyoto. We loved it! The bullet trains are more comfortable, and the plane-like experience you have inside is amazing. Some trains have small windows, others are huge, but at some point, you may start thinking you are flying. The views with such speed are incredible! You don’t see anything and everything at the same time! Was it difficult to book/find seats on these trains? I was there during the high season in August, and I did not make a seat reservation once. However, it is possible that when you go on a trip, and you wish to leave in a particular time and be punctual because of the plans you have already made, then it may be recommendable. For example, if you wish to travel at 8 in the morning, and everyone is going to work at this very same time, then you might want to book a seat. How would you describe the Japanese train system? The trains are very spacious, clean and punctual. The JR Pass also gives you access to the trains that form a circular line around the major cities – Osaka, Tokyo, and Kyoto – where you might not find so easy to sit down since many citizens regularly take those lines. For such trips, if you are travelling with luggage or you don’t like to stand, it is recommendable to book a seat. Japanese trains are very spacious, clean and punctual. Were you able to book a seat? I never tried to, since the trains were always spacious and pretty empty. How would you describe the facilities on the trains? Could you buy water/food and was it expensive? The toilets were immaculate, crazy to think how clean they were, together with all the facilities on all the trains. Also, if you were hungry or thirsty, you could buy food and drinks from a sales lady with a cart, which was passing by during the trip on the train. However, it was expensive, and I would recommend buying everything at the train stations as there the prices are better. When arriving at a station, is everything written in Japanese? Everything is in Japanese and English. Usually, the first two days you can easily go crazy and lose yourself. But don’t worry, in no time you will find your way around, like me! On the third day, I was already reading the map fast and knew where we had to go. It was a nice feeling, ha-ha-ha! Do the staff at the different rail stations speak English? If not, how did you find your way? No! They don’t speak English! If they do, it is very poor, close to impossible to understand. However, we all talked with our hands, it was amusing, and we got to understand each other at the end, but it was not easy. Was it easy to get around with the Japan Rail Pass? If you travel to anywhere where the trains go – you will have absolutely no problems. That is for sure. However, if you have to go somewhere with the train and then take a taxi because there is no other option – then you might have a problem. Because to be honest, taxis in Japan are incredibly expensive. Another option will be if you have to take a train and then change to a bus and then another bus – yes! It is very probable you will experience problems getting around, especially if you are completely new to the area, and you need to ask the local people for help. My advice: Don’t count on the last trains! The good news is the train and bus stations close later, around 2 am during the weekend. Don’t count on the last trains of the day! Taxis in Japan are incredibly expensive. 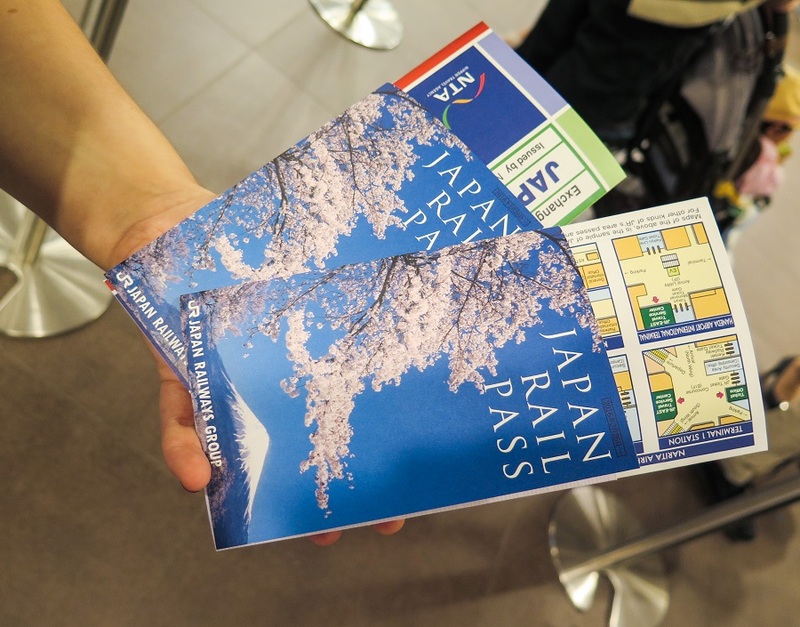 Did you use any other services from JR Pass when on your trip? I bought a Data SIM when I was already there. Nevertheless, I would strongly recommend the Pocket Wi-Fi. It just makes much more sense since I was with my girlfriend, so it is very easy for two or more people to have fast internet access. And more – buy it online, because the tourist prices in Japan are much higher! The better deal for everyone would be to purchase it online, before leaving for Japan and pick it up at their hotel or the airport. What would you say you could not have survived without during your trip? 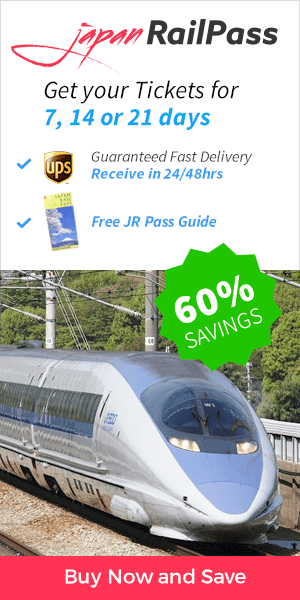 The Japan Rail Pass – seems like the obvious answer but without it, I would have spent at least over a 1000 euros more per person. Without the Japan Rail Pass, we would have spent nearly 1000 € more per person. Picture under CC BY-SA 4.0 license. Which items you wish you had bought in advance? When ordering the tickets, I didn’t purchase the Pocket Wi-Fi, nor the SIM. I realised it was a mistake on my part since you do need internet access with you. Once in Japan I bought a data SIM, but I could have done it online – it would have been cheaper. It was almost impossible to count on the street Wi-Fi as in Japan it is very typical for all Wi-Fi networks to be private. Once I could connect everywhere, I didn’t need to use the printed map with train schedules. However, I always had it on me just in case. I didn’t buy the Pocket Wi-Fi, but I would recommend it to everyone since it is just a single device, you pay it once, and you can use it together with up to 10 different devices. I know now that this was the better option since the data SIM I got was available only to me and it simply cannot be compared to the commodity the Pocket Wi-Fi provides nor to the price difference. Was there Wi-Fi at the stations? In the big stations – yes. Starbucks as well, for example, but if you don’t want to depend on this – better get the Pocket Wi-Fi or at least a SIM card. In Tokyo, you will find Wi-Fi almost anywhere in the city, but very few of the access points are accessible for free. I learned this only after I had arrived. Getting the Pocket Wi-Fi was really handy, since most Wi-Fi networks in Japan are private. Did you take any buses? Yes, I did. The buses are crucial when it comes to small mountain Japanese villages. Since they are very high, the trains can’t go there. If you wish to visit such remarkable hidden places, the only option is to go by bus. In Japan, everyone is extremely punctual, including the smallest and furthest buses. This means you have to be punctual as well. Otherwise, you will just not arrive at your destination. What type of travel guide did you use? Hyperdia – it’s the best app you can find in Japan! I got an internet SIM Card, I downloaded Hyperdia and thanks to it I always knew the fastest routes to take, which bus lines were going where, how much did the trip cost, as well as how much time was it going to take. What application, device or service did you find most useful? The most valuable service to have on your hands is Hyperdia by far! And of course – fast internet access. With Hyperdia you can go anywhere at any time and with the internet access you will never get lost. It is that simple. Have you heard of any better methods or recommendations? No! The only thing was the Pocket Wi-Fi – I thought Japan is the country of technology, that there will be Wi-Fi everywhere. But of course you don’t have Wi-Fi access on every single street so at some moment I didn’t even know where I was. Did you see any national holidays/festivals/events? Yes, I saw one, which was in Kyoto. I don’t remember very well, but it was something about Buddhism, celebrated in all the temples of the city, so everyone lit candles outside their houses – it was just beautiful! However, I was there in August, and it was boiling – 41 Cº (105 Fº), so it seemed a total madness to light up so many candles. But you don’t have time to think about that, because of the spiritual presence and how the city changes… it leaves you speechless. What type of places did you visit with the Japan Rail Pass? I chose to visit Tokyo, Osaka, Nara, Kyoto, Kamikochi Park National, Hida, Hiroshima and last but not least the Japanese Alps. It is important to know that in small villages there are no trains nor any big buses, which Japan Rail can provide, but there are small local buses, which are very cheap and are as punctual as the ones on the main roads. I also visited the National Park of Kamikochi, which was 6 hours of walking and you cannot go there by train. This is one of the cases when you have to use the local buses. It doesn’t matter that they are not included in your JR Pass, since the price is around 2€ or 3€ per person, so the trip was more than worth it. Hyperdia and Google Maps helped us a lot to move between stations and around cities. Were there any misunderstandings regarding the trains or have you had any Japan Rail-related problems? Everything was available online, all the information was correct – everything well communicated, and Google Maps helped a lot. Once at the station, you can use Hyperdia, enter the destination station name, and there you have it all. Combined with Google Maps, – even if you had to take several buses to go there – Hyperdia has all the detailed information with precise timing and prices. I highly recommend it. when it comes to the portable wi-fi device, where do you purchase this? And is it sent to you in your home country or do you pick it up somewhere in Japan? how late do the shinkansen trains run? Hi Fiddy! You can purchase it online here. In this case you would pay online and pick up your device once you arrived at the country, either at the airport upon arrival or at the hotel you’d be staying. Happy travels! I will be visiting Japan on November 7th. I know I can ride Yamate Line use by JRPass. Can I use the pass between Shinagawa and Sengakuji station by Toei subway? Hi Shigeo! 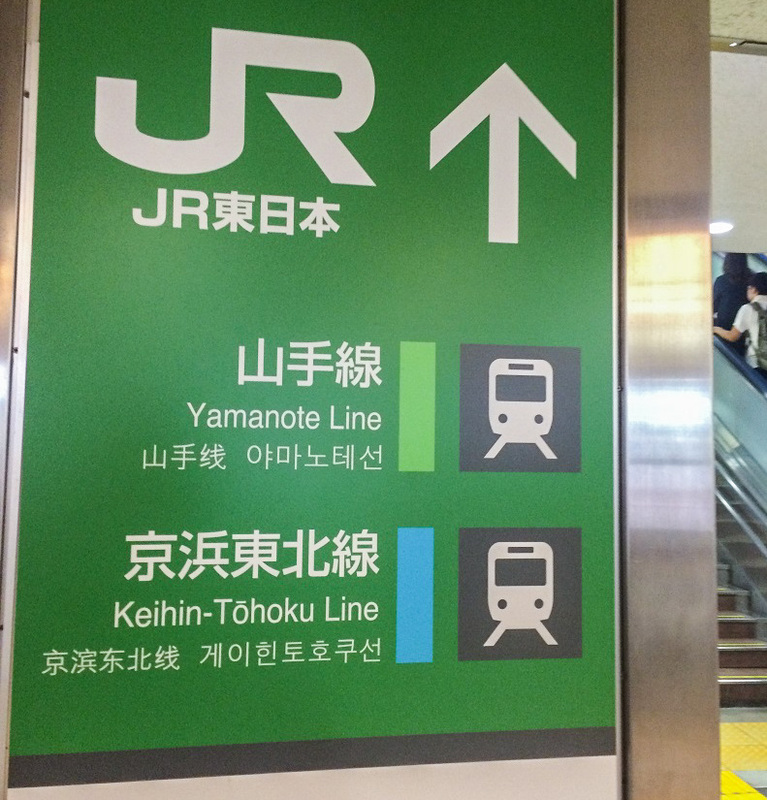 The Yamanote line is included in your Japan Rail Pass, you won’t have to pay any extra to ride it. Keykui lines provide ready access to Sengakuji, however they are not covered by the Japan Rail Pass. Happy travels! I’m planning on going to Japan in October and was wondering about the pocket wifi. Is it compatible with devices that don’t have a Japanese SIM card or do I have to purchase the data SIM card as well? The Pocket WiFi is compatible with the device you use in your homecountry. You do not need to purchase any additional SIM Card, you will just have to connect to the Pocket WiFi spot as if you connected the device to any other WiFi network. Hello! I am planning on visiting Nagano while in Japan and also traveling around the cities of Tokyo and Kyoto. Can I reach Nagano with this pass? How about daily transportation? 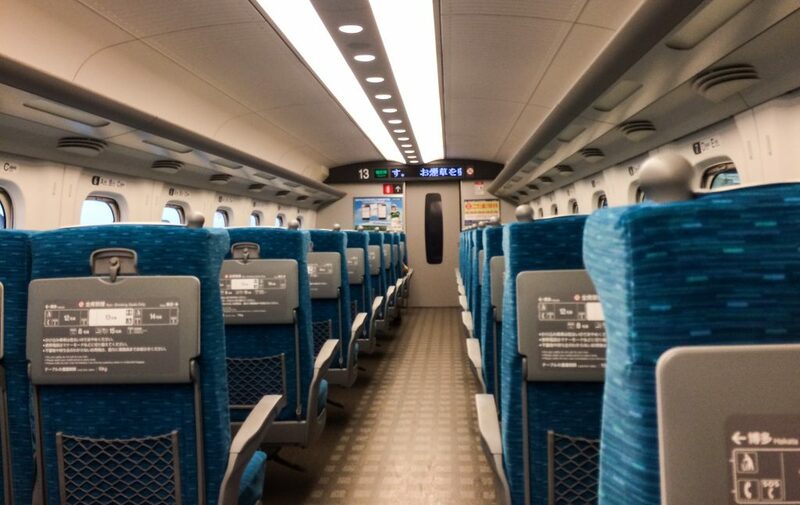 Sure – the Hokkaido Shinkansen, which departs from Tokyo station and is included in your Japan Rail Pass, will take you straight to Nagano station. Please advise which JR pass to use? You can reach all those locations with the Japan Rail Pass, and you will be able to go to Sapporo and return with the Tohoku Shinkansen and the JR Super Hokuto train. That’s a pretty awesome blog post about JR Pass! Really useful, thank you.